The 280 hectare area that we originally proposed for an Old Oak neighbourhood area included the residential communities living within and around the OPDC boundary. One of our main aims was to ensure that these residential areas are succesfully ‘stitched in’ and integrated within a new part of London which will have a very different built form. When first proposals from HS2 were published several years ago, along with the former Mayor of London’s ‘vision’ for a new Old Oak, it felt as if the planners in both these organisations had assumed that they were dealing with a largely blank map made up of undeveloped ‘brownfield’ land and railway tracks. It is true that compared with most parts of inner London, the Old Oak area has a small existing population. But our proposed neighbourhood area included an existing population of 7,000 residents. These households live in a series of residential communities ranging in size from 32 houses in Midland Terrace to 1,056 dwellings on the Old Oak Estate. 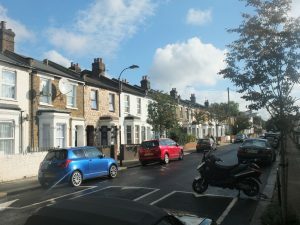 Wells House Road – a small enclave of 120 Edwardian semi-detached houses, very close to the proposed location of the main HS2 station at Old Oak Common. The potential impact of HS2 plans are enormous, for the long-term and during a decade of construction (including the proposed future closure of Old Oak Common Lane in order to lower the roadway beneath bridges). Represented by Wells House Road Residents Association. Midland Terrace and Shaftesbury Gardens – these small and adjacent residential enclaves in LB Ealing will also be hugely impacted upon by HS2 and by plans for the new Old Oak Overground station at the end of Midland Terrace. This location is also one of the intended sites for HS2 ‘construction compounds’ to be used to manufacture concrete sections for the proposed tunnel and transport spoil from the tunnel via a conveyor belt. 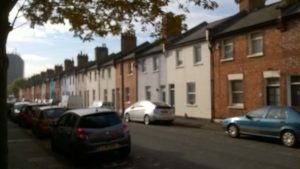 Midlands Terrace consists of 35 Edwardian terraced houses, some converted into flats and others remaining as family homes. Shaftesbury Gardens is a relative recent (1990s) development of 170 flats (housing association and owner occupied) with communal outdoor space. The Island Triangle – several streets built as 220 railway cottages in Victorian times and designated as a Conservation Area in 1982. Bordered by Willesden Junction station and the West Coast mainline (WCML) to the north, the Willesden Euroterminal to the west, Powerday to the east and Atlas Road to the south. Represented by TITRA (The Island Triangle Residents Association). 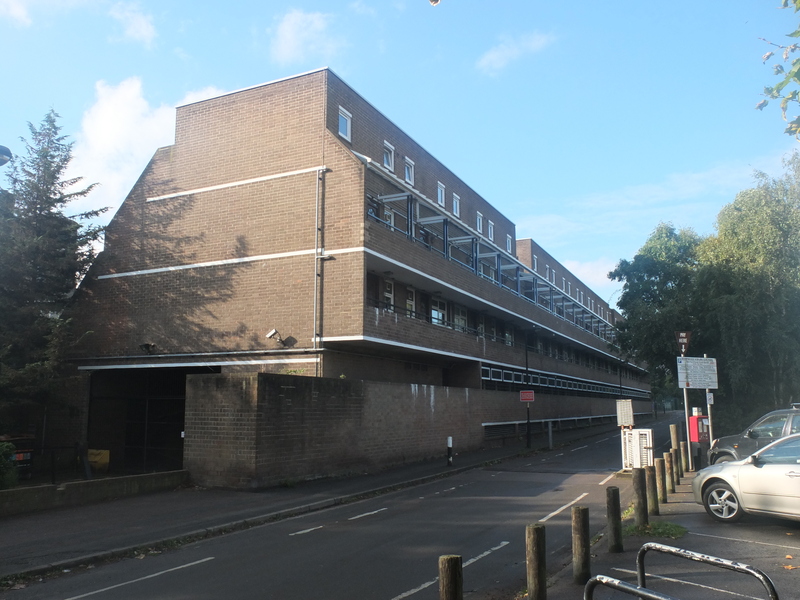 The Wesley Estate – an area of 1930s houses built originally as company housing by stationery manufacturer Harold Wesley and subsequently sold to private owners. There are 230 houses, isolated by industrial premises in Park Royal and North Acton Road, in Harold Road, Newark Crescent and Wesley Avenue. Represented by the Wesley Estate Residents Association. 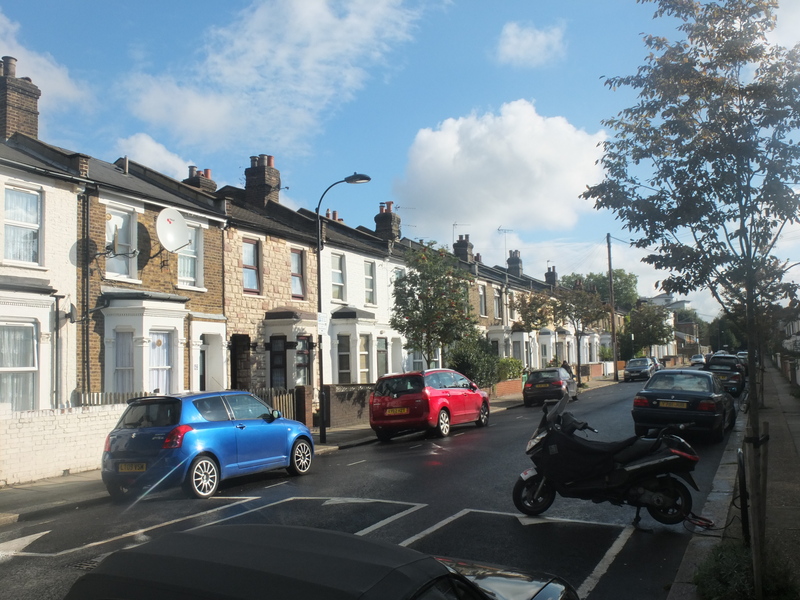 College Park – terraced streets of Victorian housing east of Scrubs Lane and south of the Harrow Road, within LBHF. 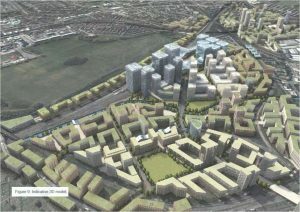 The area is isolated from the remainder of Hammersmith & Fulham and includes some 280 households. The street pattern is dense and there is little within the immediate area in terms of potential development sites. Development interest in the area is growing. 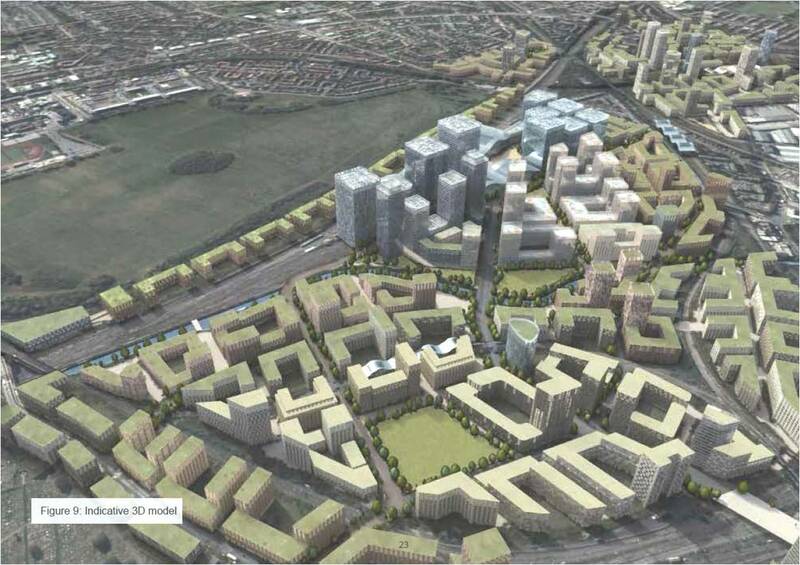 Several major planning applications for tall residential towers have come forward for tall residential towers in Scrubs Lane and have been approved by the OPDC Planning Committee. This is despite objections from LBHF, RBKC, Historic England and local residents (see news items on this website). Woodmans Mews to the west of Wood Lane (and opposite North Pole Road in W12) includes 50 properties, with a mix of private and social housing. 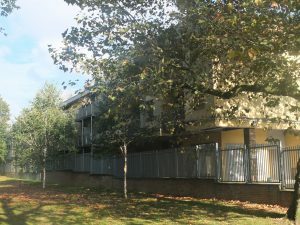 Across Wood Lane are housing association properties at 28 North Pole Road (79 houses and flats, managed by London Strategic Housing (LSH) which is an established part of Network Housing Group). Both these small residential enclaves were included within the proposed Old Oak neighbourhood area, but removed by Hammersmith and Fulham Council. Hammersmith and Fulham Council has designated as a separate neighbourhood area the Old Oak Estate. 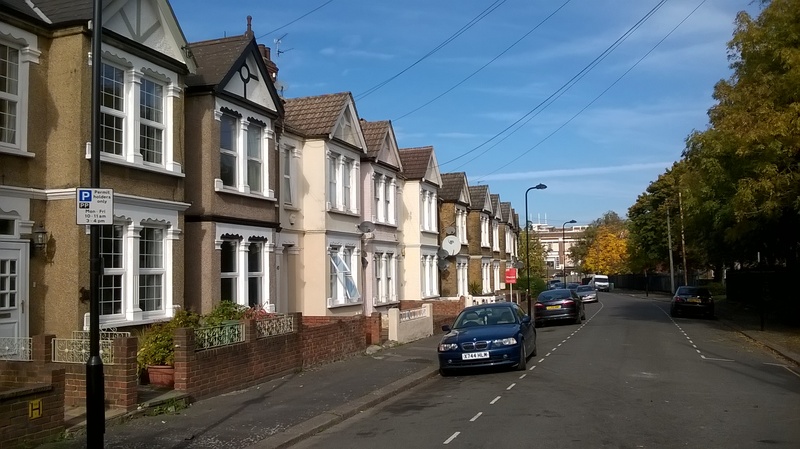 Its reasons for doing so are questionable, given that a only a handful of residents from the Old Oak Friends and Residents Association responded to the OPFC/LBHF public consultation by making the case for separate designation. A greater number (12) supported the original proposals from the Interim Forum. Old Oak Estate is a ‘cottage estate’ designed by the London County Council before the First World War in ‘garden city’ style, and largely built after the war. The completed estate is made up of 1056 homes – 228 five-room, 443 four-room, 341 three-room, 27 two-room and 16 one-room flats. These were designed at a density of 27 cottages per acre (approximately 100 housing units per hectare, allowing for the fact that one ‘cottage’ can contain two dwellings). The estate is now a Conservation Area within LB Hammersmith & Fulham and is a highly regarded example of social housing of the period. 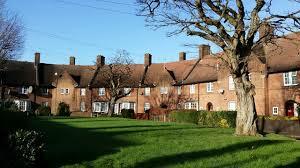 Properties on the estate are now some 50% owner-occupied and 50% managed by the Old Oak Housing Association. The housing association was set up in 1990 following a stock transfer from LBHF, and Family Mosaic HA is the major shareholder. It remains to be seen whether a new ‘qualifying body’ will come forward to apply for designation as the neighbourhood forum wishing to prepare a neighbourhood plan for what the Council has labelled (confusingly) as the ‘Old Oak Estate Neighbourhood Area’. At present, the state remains an ‘orphan’ neighbourhood area, without a forum with the powers to prepare a neighbourhood plan. Because the area is separate (by a few hundred yards) from that designated by the OPDC, the Old Oak Neighbourhood Forum is not able to include policies and proposals the estate within an Old Oak Neighbourhood Plan. The fact that the LBHF and OPDC decisions have potentially doubled the costs to the public purse of two sets of grants for plan preparation, two independent examinations, and two referendums has been pointed out, so far to no avail. 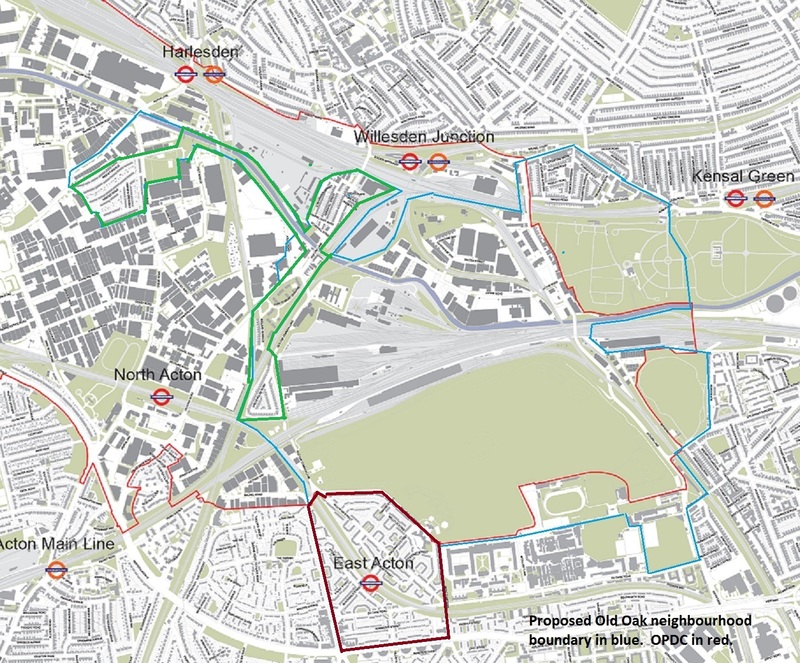 The Old Oak neighbourhood area finally designated is shown with a green boundary in the map below. It lies in the East Acton ward of LB Ealing. Area designated by OPDC has green boundary. Old Oak Estate designated by LBHF has brown boundary. Original OONF proposed area in blue.